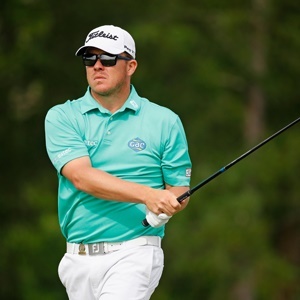 Cape Town - South Africa's George Coetzee has begun his return to the European Tour and he does so fitter, stronger and with a few changes to his golf swing as he works towards what he hopes will be a strong finish to the year. After an eight-week layoff, Coetzee teed it up in Switzerland's European Masters last week where he missed the cut in Switzerland. The 31-year-old is very much focused on the bigger picture. "I needed to have a good rest. I had eight weeks off to practice and train and I'm quite excited about the rest of the season," he said. "I've lost 15 kilogrammes. I'm enjoying practising for the long term. In this sense the work I've done now has been probably some of the best work I've done in the last seven years. For me it's about accepting that things change and you've got to adapt all the time and keep working hard. You're always working to be better and make sure your structures are in place." Coetzee will see himself playing the majority of the Tour's remaining events this year, including a return to Mauritius where he will attempt to win a second Mauritius Open following his triumph at The Heritage Golf Club in 2015. He recently tested out his form when he played in the new Corporate Masters at Sun City. Although it was an amateur tournament for corporate golf teams, he seemed happy with his progress. "I needed some game time before I went across to Europe and that event offered me the opportunity to play some semi serious golf, get my game in the groove and have some fun," said Coetzee. "I'm going to play pretty much everything from Switzerland all the way through to Tshwane Open. "I still have to qualify for a few events and hopefully the work I've been doing will kick in and I'll have a couple of good finishes that will make up for the spots that I need to qualify for." Coetzee will tee up in the KLM Open in Spijk, Netherlands on Thursday, September 14.